We’d love your help. 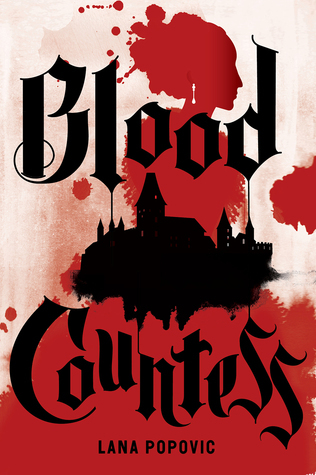 Let us know what’s wrong with this preview of Blood Countess by Lana Popović. To ask other readers questions about Blood Countess, please sign up. Lana Popović's debut YA contemporary fantasy, WICKED LIKE A WILDFIRE, was published by Katherine Tegen Books/HarperCollins in August 2017. Lana studied psychology and literature at Yale University, and law at Boston University. She is a graduate of the Emerson College Publishing and Writing program and works as a literary agent with Chalberg & Sussman, specializing in YA. She lives in Boston, s Lana Popović's debut YA contemporary fantasy, WICKED LIKE A WILDFIRE, was published by Katherine Tegen Books/HarperCollins in August 2017. Lana studied psychology and literature at Yale University, and law at Boston University. She is a graduate of the Emerson College Publishing and Writing program and works as a literary agent with Chalberg & Sussman, specializing in YA.